VICTORI4 is a band formed in France in 2006 by four high school friends. Their music is a mixture of blends, including rock and cinematographic themes, making their style unique, delicate and powerful. 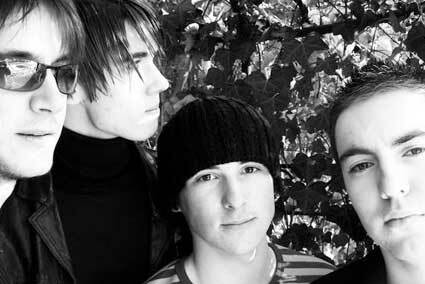 A few months after the band was formed, the band recorded their first EP named “Sometimes Light Makes You Blind”. This record was produced by a Swiss sponsor, who quickly gave the band enough exposure to make them the top 3 band on MySpace in France. The exposure allowed the band to play along with national and international artists like Katy Perry, Dan Black, The Dandy Warhols, Charlie Winston, and many other artists in a variety of prestigious venues around France, Switzerland, and England. VICTORI4 will tour the eastern United States this summer, including Florida, Georgia, and South Carolina, as well as record their new EP in Jacksonville, Florida. VICTORI4, with their members averaging 20 years old, is an up-and-coming rock band you want to keep an eye on. Their members are Aurel Rubod on guitars and lead vocals, Simon Molinas on bass, Thomas Molinas on guitars and backup vocals, and Antoine Marmoux on drums. VICTORI4 was recently endorse by a clothing company named Heidi (www.heidi.com), and is being sought by several record companies. For booking, please contact Michael Buffon Management at booking@victori4.com.